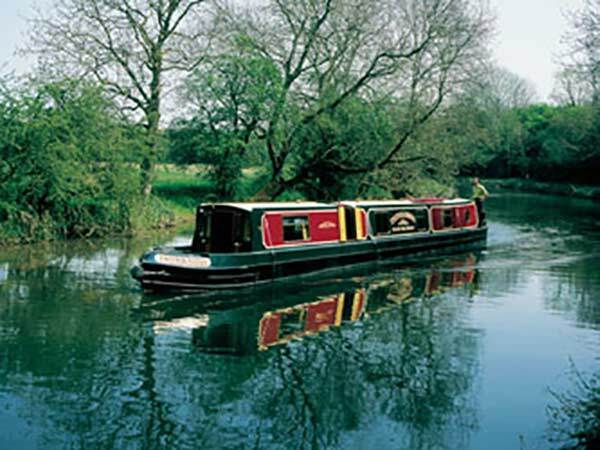 Whether it’s a holiday or a lifestyle, the Narrow boat is an iconic way to do it. So when it comes down to it, why not use an iconic heater for the job. Here at MV Heating we have a variety of heaters suitable for many marine craft and the narrow boat is no exception. 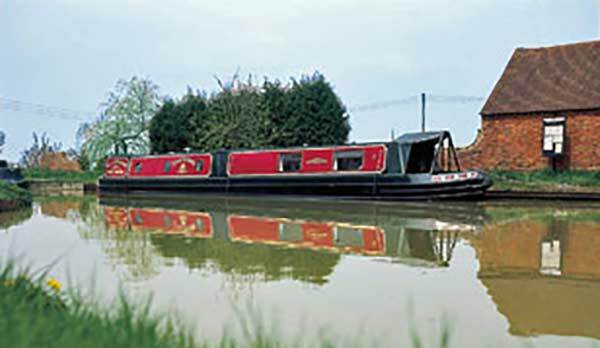 The MV Hydro Models are diesel powered water heaters that are suitable for supplying your narrow boat with hot water via radiators or matrix heaters, to keep you warm in the cold months or via a calorifier for domestic hot water. They are a great option to consider if you’re looking for an effective way to heat your narrow boat and supply you with hot water. However, if you’re interested in air heating; then look no further than our Airo models. The diesel powered, MV Airo 5 model with its low running cost, easy installation and comprehensive upgrade kits, means it’s a tough competitor in the market. It fires warm, dry air around your boat with minimal noise and a clean burning exhaust. And of course, all our kits come fully complete, meaning they are ready for installation straight out of the box! The heater is normally fitted in the engine room or boatman’s cabin. The heater will draw diesel fuel from the main fuel tank via the MV fuel pump. 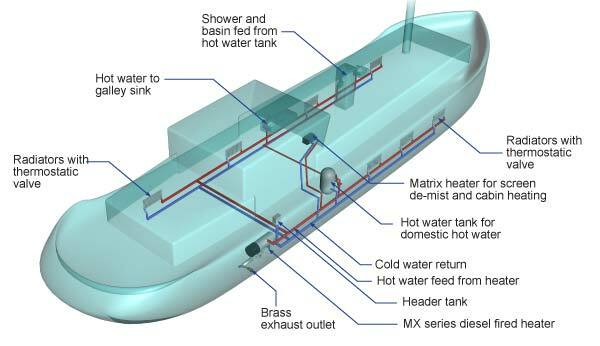 The integral water pump circulates the hot water around the boat to feed radiators or finrads to provide central heating plus hot water via a calorifier to provide hot water to the galley, bath or shower.